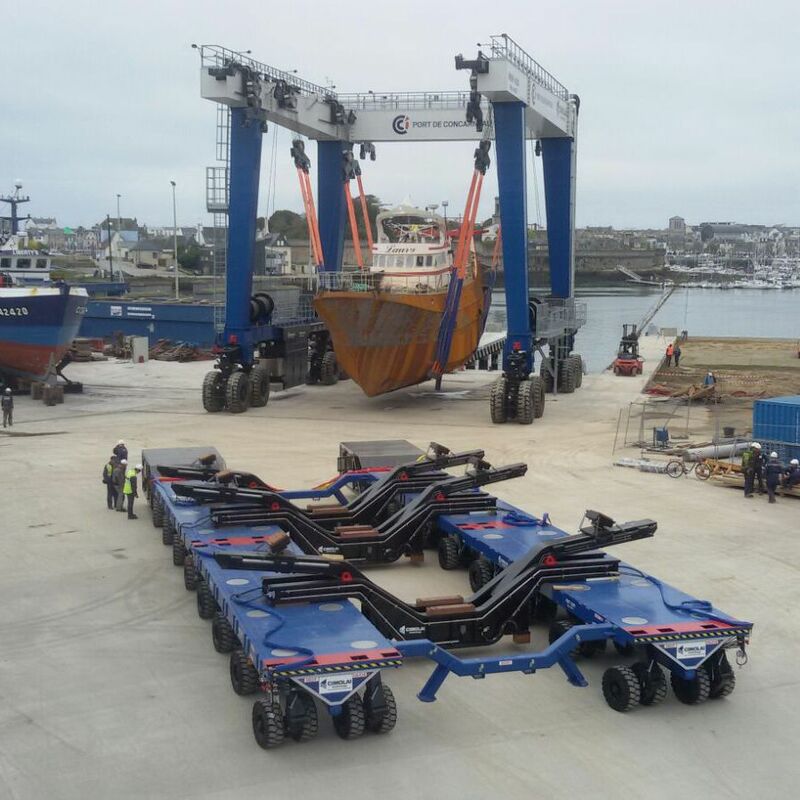 We can supply MOBILE BOAT HAULERS and MOBILE BOAT TRAILERS for handling and transporting, dry-docking and launching boats with a weight up to 1500 ton. 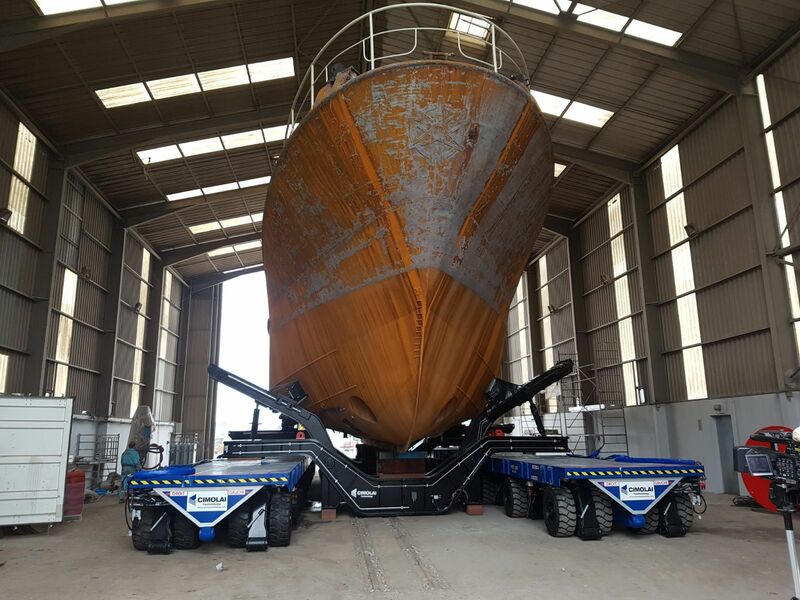 Our Company can design, manufacture and supply the most appropriate travelift, and also guarantee direct after-sale and spare parts service, with highly skilled staff, even for equipment of other manufacturers. Our staff consists of persons who can boast a 30-year experience in this field. heavy-duty handling trailer / shipyard / self-propelled / remotely controlled MBT60-0740-1.